Daugavpils Regional and Art Museum is one of the oldest ones in Latgale. The origins of the museum go to the 20s of the 20th century. The first idea of establishing the museum came in 1925 by the poet, journalist, publisher and teacher Arseny Formakovs. In 1926 B.Brezhgo returned to the question about the foundation of Latgale regional museum in Latgalian press. The basis of the museum could make the collected archaeological and ethnographical subject collection of Daugavpils Teachers’ Institute. 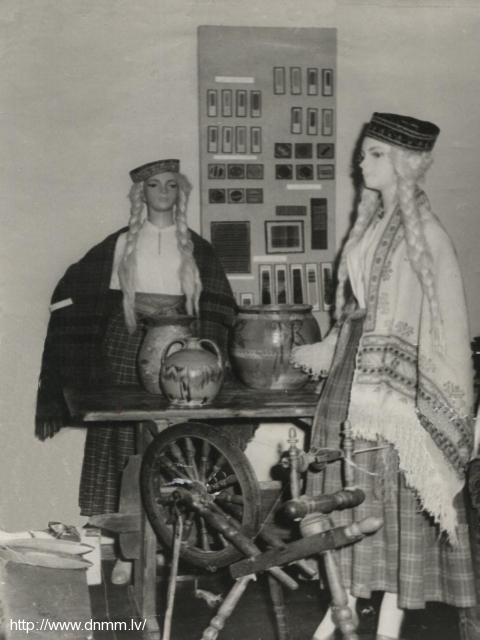 In 1933 there could be viewed the art exhibition of Latgale people in Daugavpils Teachers’ Institute, there were exhibited woodcarvings, ceramics and textiles. The author of the exhibition was a teacher, archaeologist and professional painter Oskars Kalejs, who was the owner of the notable collection of ceramics. 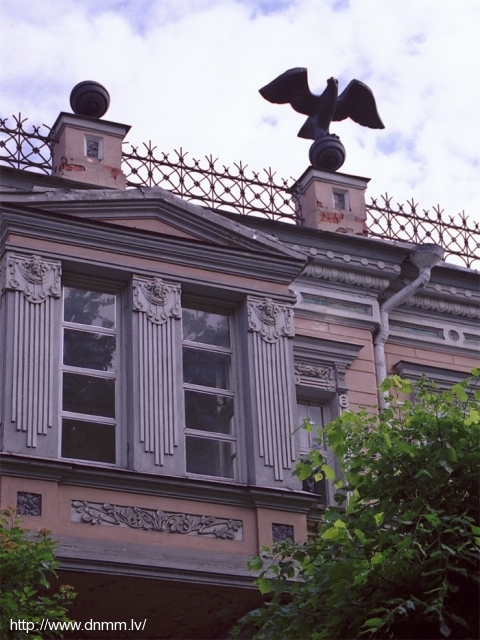 Daugavpils municipality allocated a two-storey building on Saules street 5/7 for the establishment of the museum. A financial support for the establishment of the museum was provided by Latvian cultural fund. 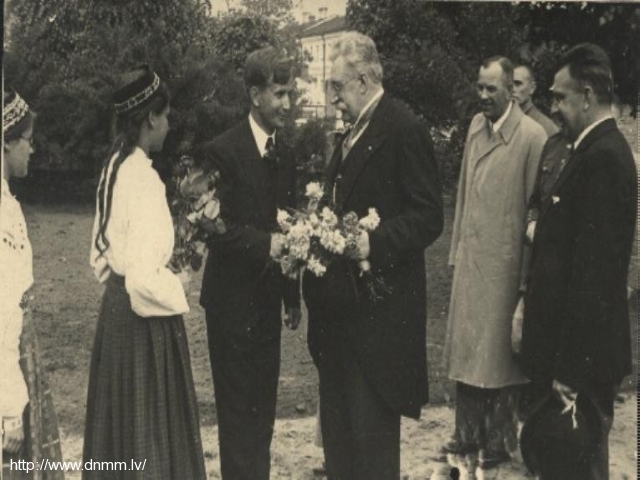 On May 30, 1938 there was the official opening of Daugavpils department of National History museum. The director of the museum was Oskars Kalejs. O.Kalejs organized active collection of exhibits for the museum. 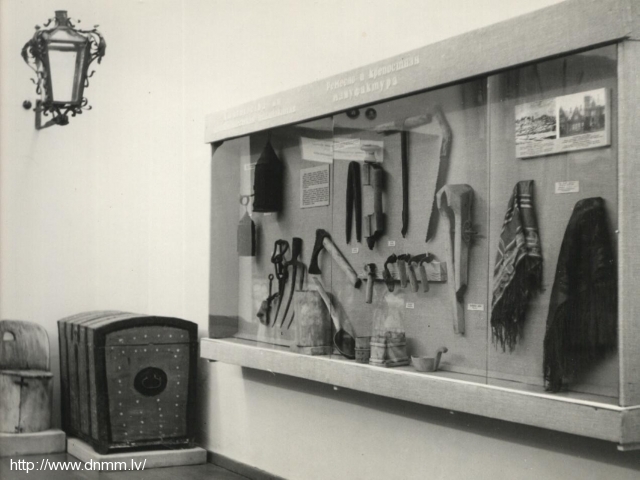 In 1939 the archaeological collection of the museum was richly increased with the objects that were found during the archaeological dig at river Dviete, lakeLubans and Jersika castle mound. Altogether there were found 2481 items. On the eve of Latgale song festival, on June 9, 1940, there was the opening of the enlarged exposition of Daugavpils museum. This exposition was located in nine halls, where were exhibited the artefacts of the Stone age – of 13th century, the archaeological finds of Jersika and Dignaja castle mounds, national costumes, textiles, large ceramic collection. Together with the historical expositions, there was opened art gallery. After the incorporation of Latvia into the USSR, the activity of the museum changed and there were opened new departments – revolutionary and art departments. During the war, the exposition was closed and many exhibits were lost. In 1944 the museum resumed its work and was renamed as Daugavpils National historical museum, but since 1945 it has started to function as regional and research museum. In 1949 there were 3128 items in the museum’s collection. Thanks to the inhabitants of the region, the collection of the museum noticeably increased and in 1959 there were more than twenty thousand of items in the museum. 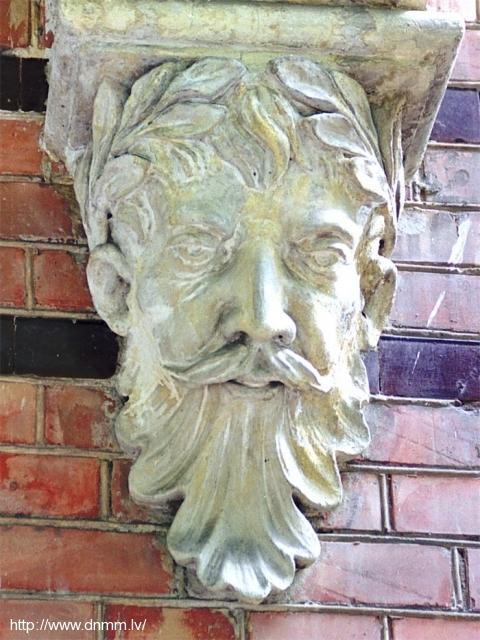 It was necessary to find new premises for the exposition, and in 1959 the museum was moved to art nouveau building of 1883 at 8 Rigas Street, where it has been located to this very day. In 1967 Daugavpils Regional and Research Museum got a building at 7 Muzeja Street, where there was developed a continuation of the cultural history exposition and an exhibition hall. In the end of the 60s the visitors of the museum could view the cultural history exposition from 9th century B.C. to nowadays in 14 halls of the museum. The establishment of the art department in 1969 allowed to introduce the artists from Daugavpils and Latvia, as well as artists from other cities and countries, and national applied art. Since 1980 there started to work national studio of applied art “Latgale” (ceramics) and “Kluga” (basket makers). The changes that happened in our society created modification in political, economical, ideological system. Reconstruction processes of many conceptions, that during the decades were distorted, showed their original true meaning. New times create new tasks for the museums that are forced to be involved in historical disclosing of “white spots”. Since 1991 there took place a reorganization of cultural and historic exposition in Daugavpils Regional and Art Museum, the content of the museum developed in accordance with the demands of modern history. 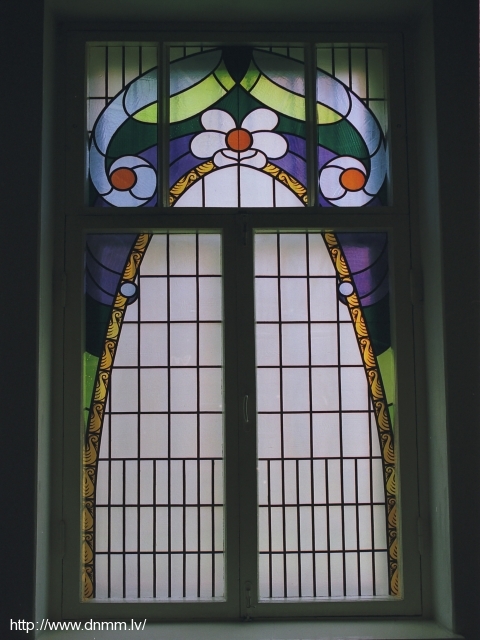 A painter and a designer Ugis Auzinsh worked out a project of the museum’s interior taking into account the peculiarities of the architectural monument (art nouveau). At the present the visitors of the museum can view 4 permanent cultural and historic exhibition halls (prehistory – 1940) and various exhibitions. In 1999 there was opened one more permanent exposition called “Nature of Daugavpils region”. In 1994 within the bounds of the museum there started to work an art salon “Mara”, where it is possible to buy different pieces of art. The salon organizes different small art exhibitions as well. 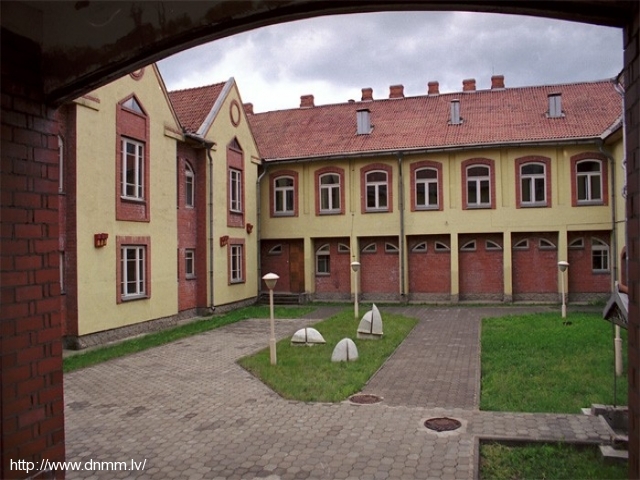 In 1993 there was put into operation an outhouse of the museum where there were located a new storehouse of the collections, a restoration workshop, a hall for events, a library, a reading room and rooms for the employees. In 2000, 2005 and 2010 the museum got an accreditation for the correspondence to the museum standards that are established by the government. In 2005 there was opened a gallery of the painter L.Baulins. The activity of every museum is significant not only in the past, but also in the present and the future, because the museums create a so-called link of the epoch. Daugavpils museum permanently improves its offer to the visitors; the professionals try to work so that every visitor could find something interesting, attractive and valuable for himself. It is considered that a good museum is the one that someone wants to visit over and over again. We would like our museum to be exactly like that.